A crucial turnover brought a sour end to DeMar DeRozan's first game back in Toronto. 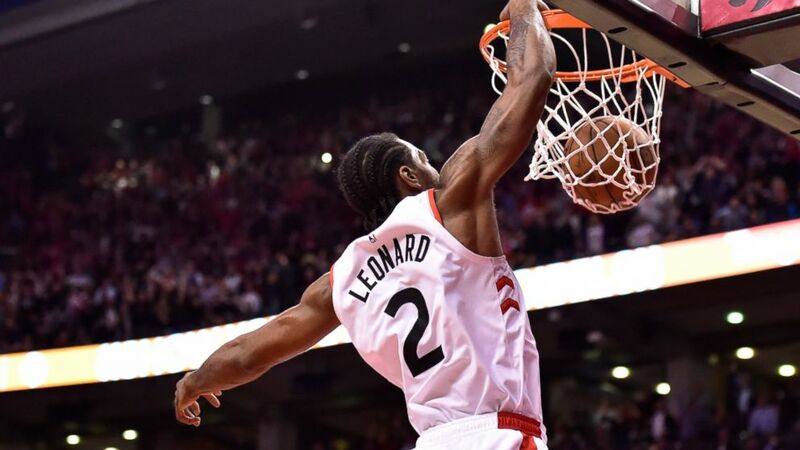 Kawhi Leonard stole the ball from DeRozan to score the go-ahead dunk with 15 seconds left and the Raptors beat the San Antonio Spurs 120-117 on Friday night, spoiling the former Toronto star's return to Canada. "Tonight was like a playoff game," Leonard said. "We had to grind it out all the way to the end." "I knew they were going to be aggressive, trying to make a play on the ball and then foul," DeRozan said. "I've just got to be more aware." Fans rose for a standing ovation when DeRozan and the Spurs jogged out for pregame warmups, and were on their feet again when San Antonio's starters were introduced. "To come back here and get a reception like that is definitely humbling, beyond gratifying," DeRozan said. "I appreciate it." "It was fun, pretty fun," Lowry said. "Especially because we got the win. If we lost, it would have been terrible." "I thought it was a great game, a real competitive game," San Antonio coach Gregg Popovich said. The Raptors took a 101-100 lead on Lin's jumper with 6:52 to go - part of a 9-0 run. San Antonio overcame a six-point deficit, reclaiming the lead on Bertans' two free throws with 1:36 left - the first of four lead changes in the final 1:36. Bertans missed a potential go-ahead basket with less than 3 seconds left, and Lowry sealed victory by grabbing the rebound. "His American dollars are strong right now so we took advantage," Lowry joked.